Century Boulevard runs as straight as an arrow through a 10-mile stretch of south Los Angeles before terminating at the horseshoe-shaped Los Angeles International Airport (LAX) terminal complex. Despite seemingly easy access from this major LA thoroughfare and the city’s widespread freeway network, congested vehicular traffic has plagued the airport for many years. With 4 million people living in the city and the automobile as the preferred method of transportation, traffic congestion in and around LAX is an accepted nuisance—particularly when considering that it is the world’s fifth-busiest airport for passenger traffic, having served more than 84 million people in 2017. Incremental improvements to the airport and the transportation network that serves it have failed to keep up with its growth over the years. But in 2010, a major capital improvement plan, known as the LAX Development Program, was implemented. The $15 billion project is being constructed in three phases and will be completed in 2028. It is the largest public works initiative in Los Angeles history. And it is leveraging GIS strategically, not only to streamline the workflows of multiple construction projects but also to ensure that 24-hour-a-day airport operations proceed smoothly. 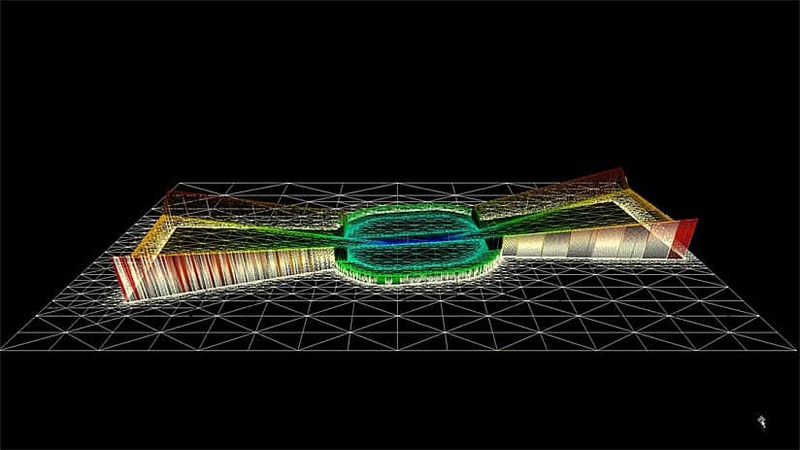 This 3D mesh of LAX’s runway 6L24R—built with a 3D viewer—shows a terrain view of the Obstruction Identification Surfaces (OIS) dataset, which better reveals its structure. Major upgrades coming to LAX include significant terminal renovations, a midfield satellite terminal concourse, and a new central terminal area that will consist of streamlined passenger processing, updated utility plants, an intermodal transportation facility, an automated people mover system, and a consolidated rental car center. “Right now, we have about 130 different projects going on at the airport and anticipate another 80 to 90 in the future,” said Don Chinery, the program controls manager for Los Angeles World Airports (LAWA). This ranges from a new terminal to improving a tenant facility within a terminal. All projects included in this capital improvement plan must be carefully managed so that one doesn’t interfere with another or severely impact operations. For example, when Delta Airlines moved to a different terminal in 2017 as part of the redevelopment program, it caused several other airlines to move as well. This had to be carefully orchestrated to minimize passenger and staff disruptions because airport operations obviously can’t be shut down at LAX, which handles more than 1,500 takeoffs and landings every day, according to Chinery. Central to managing the multiple construction projects at the airport is Coordination and Logistics Management (CALM), a Microsoft SharePoint-based GIS integrated with Oracle’s Primavera P6 solution for project management. Collected data is made available for review to internal stakeholders through OpenText, an enterprise information management software. The system currently maintains more than 500,000 documents. “We’ve built an integrated process that we call ETL—extract, transform, and load,” said Chinery. It is essentially a script that runs in Microsoft SQL Server. It pulls data from the P6 application on a nightly basis and populates an ArcGIS geodatabase with that data. 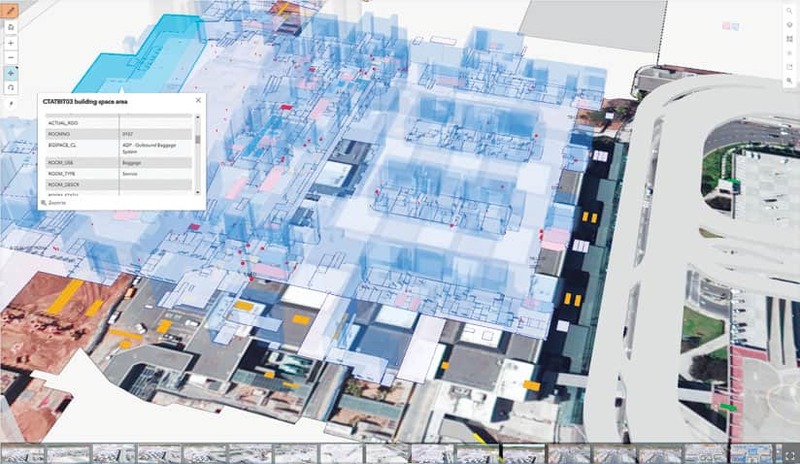 Staff in the GIS support services division use ArcGIS Pro to create 3D models of indoor construction projects in the airport complex, including ticketing areas, public lobbies, passageways, and baggage areas. The CALM GIS development team also built an interactive mapping app, called CALMShare, that shows the locations of all LAX projects—including those that are currently active and ones that are planned for the future—to reveal any time and space conflicts among those projects. Pulling all this data from CALM’s geodatabase, the app also provides maps for logistical coordination. 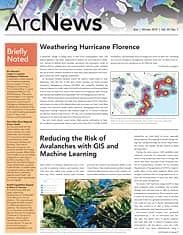 Before these projects even began, LAWA relied on a large stack of ArcGIS software within its Airport Enterprise GIS (AEGIS), including ArcGIS Desktop, ArcGIS Server, Portal for ArcGIS, ArcGIS Online, Web AppBuilder for ArcGIS, ArcScene, and the ArcGIS maps used with SharePoint. Now, with the LAX Development Program in full swing, LAWA’s GIS support services division has begun experimenting with a 3D interactive modeling simulator. Using ArcGIS Pro, staff in the GIS support services division can create 3D models of indoor construction projects in the airport complex. These scenes include ticketing areas, public lobbies, passageways, and baggage areas, as well as the locations of defibrillators and fire extinguishers. The model can provide multiple vantage points, including bird’s-eye, ortho, and perspective views, so projects can be fully examined. 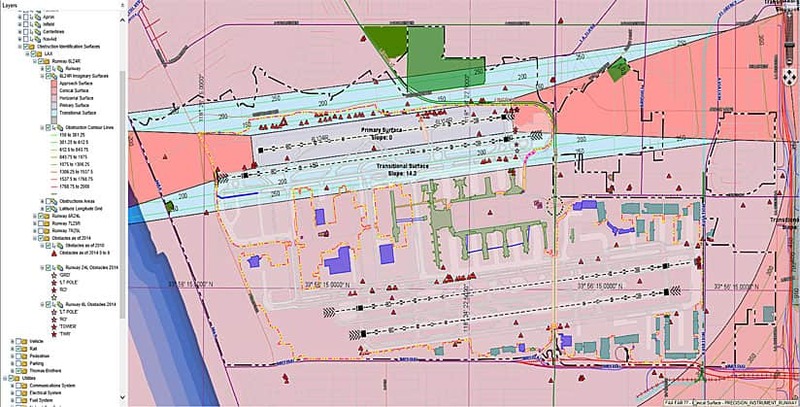 At Los Angeles World Airports (LAWA), the GIS support and services division uses the ArcGIS for Aviation: Airports extension to create Airfield Imaginary Surface Areas, which show approach zones, transition zones, primary zones, and more, to help the airport determine how high it can build things without causing airspace obstructions. These surfaces include approach zones, transition zones, primary zones (which are centered on the runway), horizontal zones (a plane 150 feet above the established airport elevation), and conical zones (which extend up and out from the outer limits of the horizontal zones). 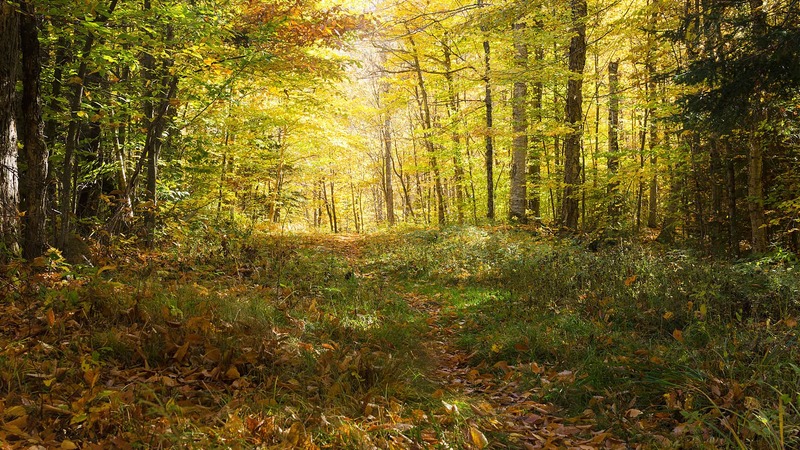 They are described by specific heights, width, length, and slopes. Recently, LAWA needed to place an 80-foot-high antenna in the airfield area of LAX and do it on very short notice. The workflow LAWA has developed using P6 along with ArcGIS and SharePoint ensures that LAWA, its airport planning and development group, the construction inspection division, project teams, contractors, tenants, and other stakeholders can communicate efficiently and accurately.